growth with emphasis on Pro-poor spending. Determine whether Nigeria is experiencing economic growth. Determine the nature of the growth in Nigeria inclusive (Pro-poor) or exclusive (pro-rich)? 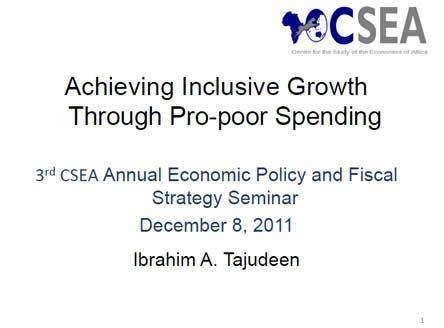 Recommend ways to achieve inclusive growth or to sustain existing inclusive growth emphasize Pro-poor spending. growth that enables the poor to actively participate in and significantly benefit from economic activities. reduces the level of poverty, inequality and empowers females. This paper examines the effect of inward FDI in West Africa on exports to EU countries. It investigates from a host country perspective, the impact of FDI on different export categories: primary, intermediate, and final goods.